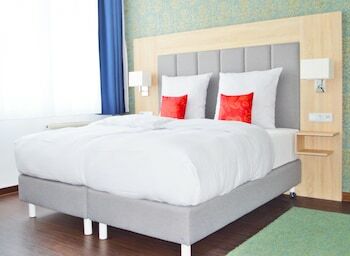 With a stay at Pallas Hotel in Darmstadt, you'll be within a 15-minute walk of Herrengarten and Prinz-Georg-Garten. The front desk is staffed during limited hours. Free self parking is available onsite. Located in Braunfels, Gasthaus Gombel is in a rural location, a 5-minute drive from Braunfels Castle and 5 minutes from Dr. Kanngiesser'sches Waldmuseum. Free self parking is available onsite. When you stay at Ferienpark Mirow in Mirow, you'll be 11 minutes by car from Mueritz National Park. The front desk is staffed during limited hours. Free self parking is available onsite.